I made this lunch for my 9 year old nephew on his first day of 4th grade. He is a huge fan of my homemade bagels. I made bagel pizza bites for the first time. 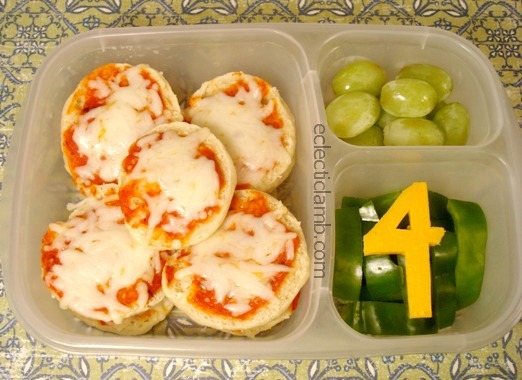 This entry was posted in Bento / Cute Food, Food and tagged back to school, bento, lunch. Bookmark the permalink. What a special way to start fourth grade! This yummy lunch had to make him a little happier to go back to school! These bagel bites look delicious!